THE POWER 3 is made up by the talents of Ethan "Chef" Phoenix , Rush Clement, and Ricky Nalett. The talents of each member are diverse and cross many styles of music. 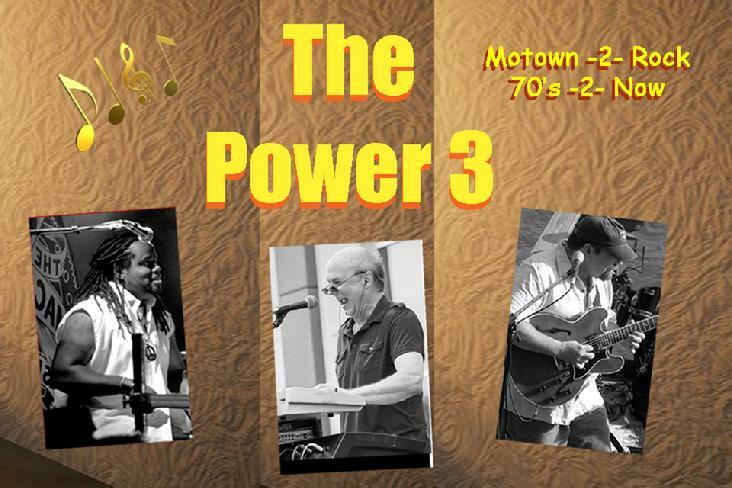 THE POWER 3 is just as comfortable playing Motown and Rock, as they are playing Country of Jazz Standards. Vocally, this band is very strong and you simply have to hear Chef sing! From Ed Sheeran to Stevie Wonder, you will be amazed. Musically, set Rush loose on any Santana or Stevie Ray Vaughan song and you will understand his artistry. Ricky, an accomplished pianist and keyboardist for four decades. And he knows every song in the world (except three!!) All three are talented and seasoned professionals. This is THE POWER 3.